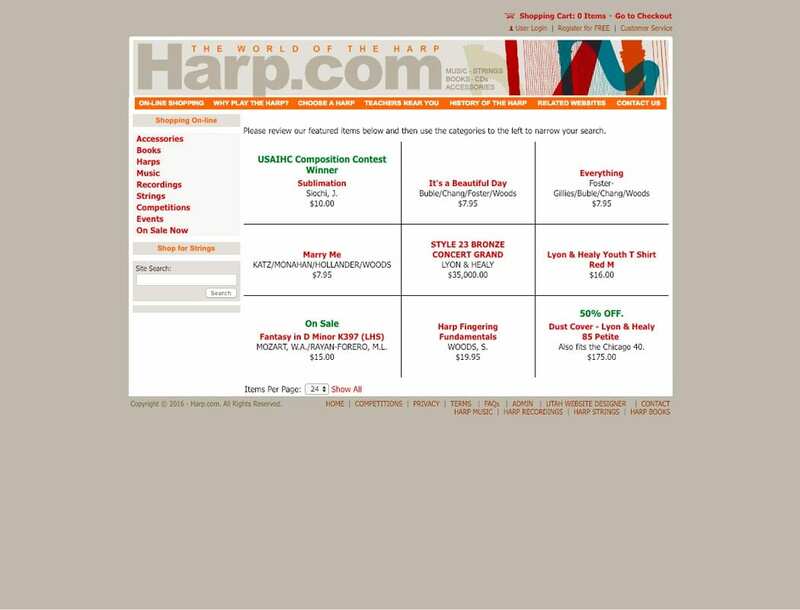 Harp.com is the one stop shop for everything Harp online. 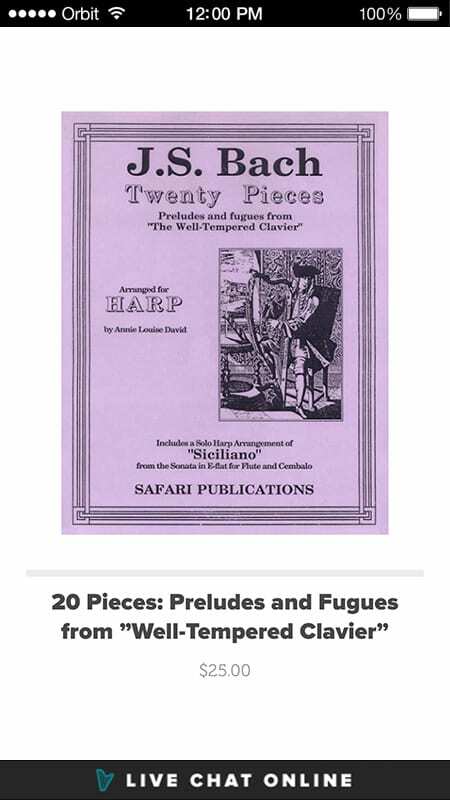 They offer a full catalog of harps, strings, books and accessories along with a number of helpful resources for harpists at any level. 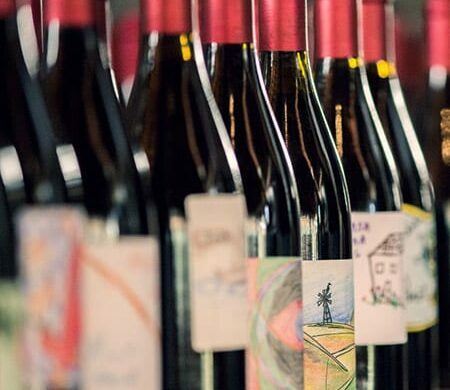 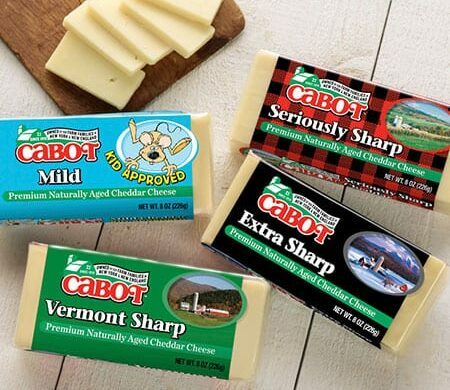 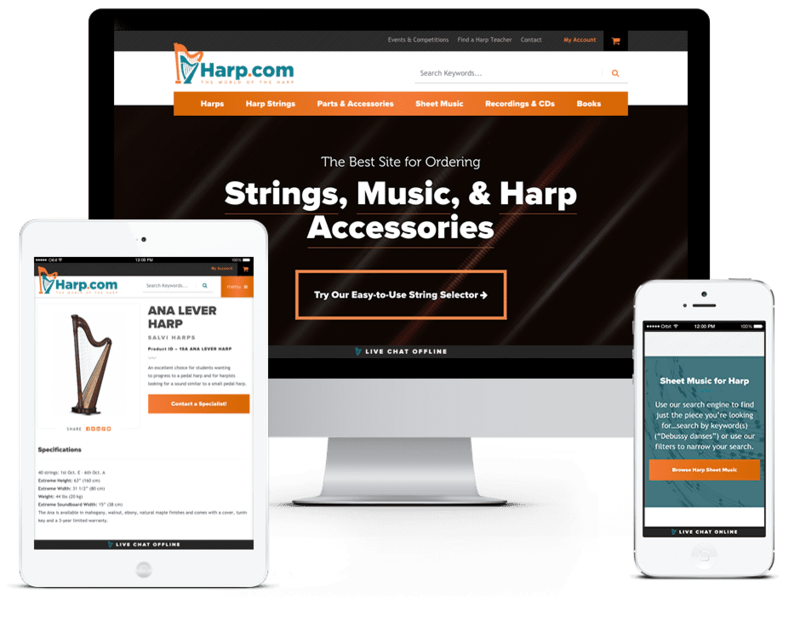 Orbit Media designed an intuitive and easy-to-navigate eCommerce site that is as sophisticated as their product and their brand, allowing harp players and teachers to find exactly what they need with minimal effort. 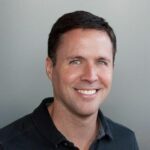 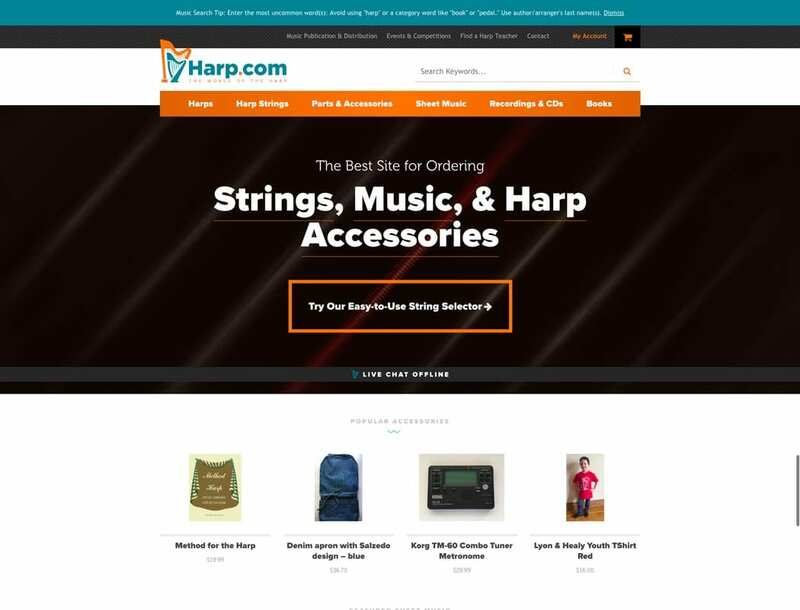 As the primary online store for anything harp related, ecommerce was an integral part of the Harp.com redesign. 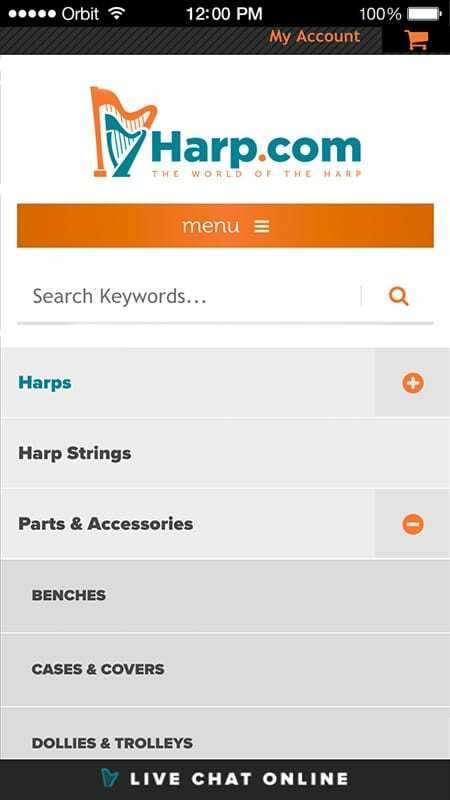 Users can easily purchase parts, accessories or sheet music, view their existing orders, or update their account and payment settings through the ecommerce interface. 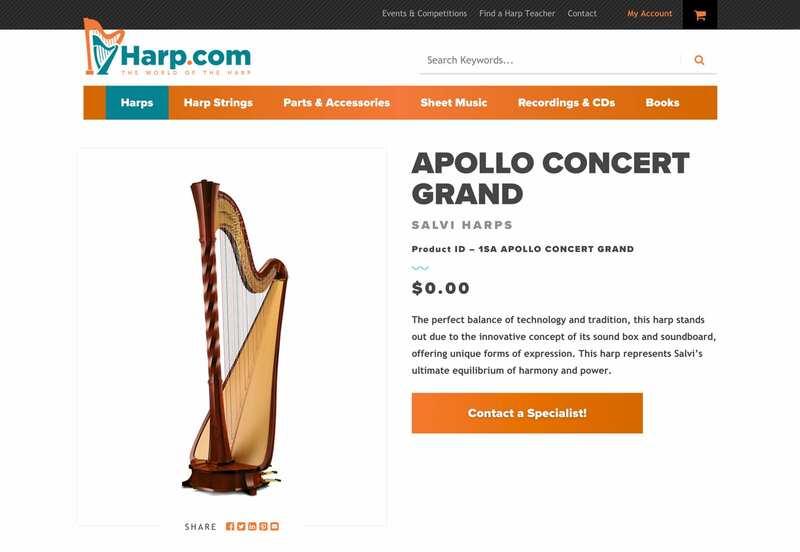 For their big ticket items (the harps), users are directed to contact a specialist for further information and pricing on their product inquiry. 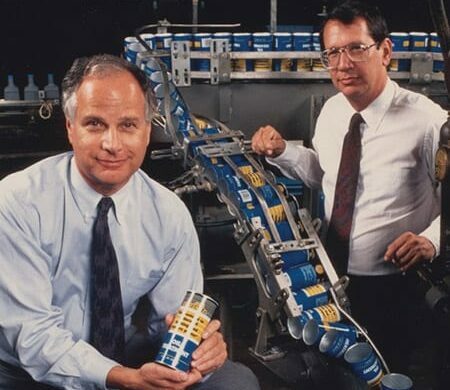 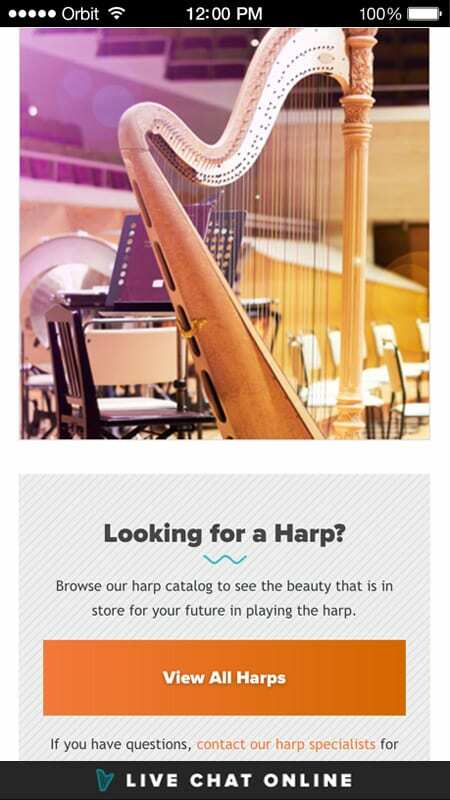 The team at Harp.com provided Orbit with criteria to organize their vast catalogs of sheet music, recordings and replacement strings. 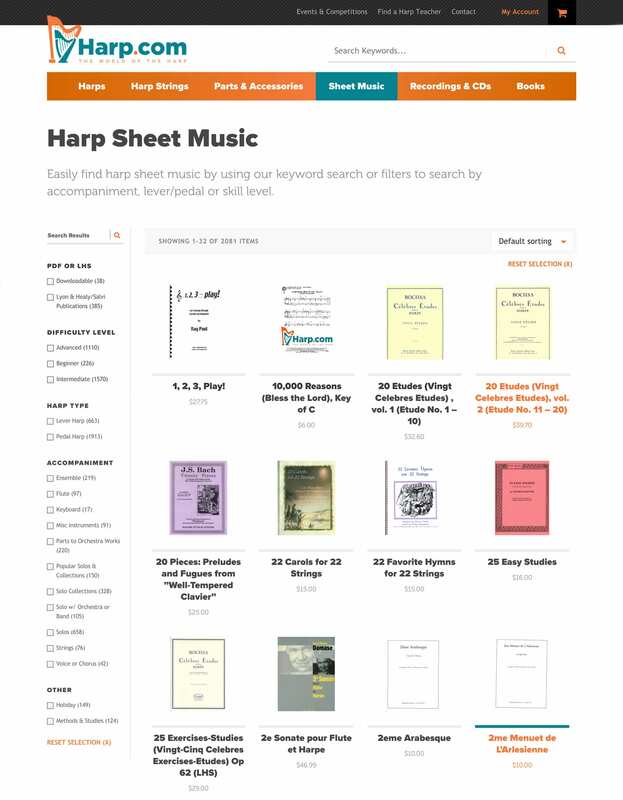 Orbit developed filterable product listing pages so the user could easily sort through the hundreds of sheet music options by difficulty, accompaniment or harp type. 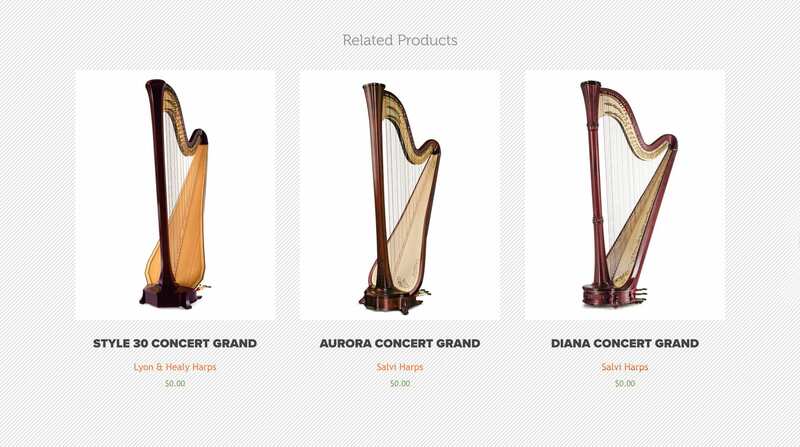 The Harp.com team can easily manage these filters through the WordPress CMS as they add and update products.